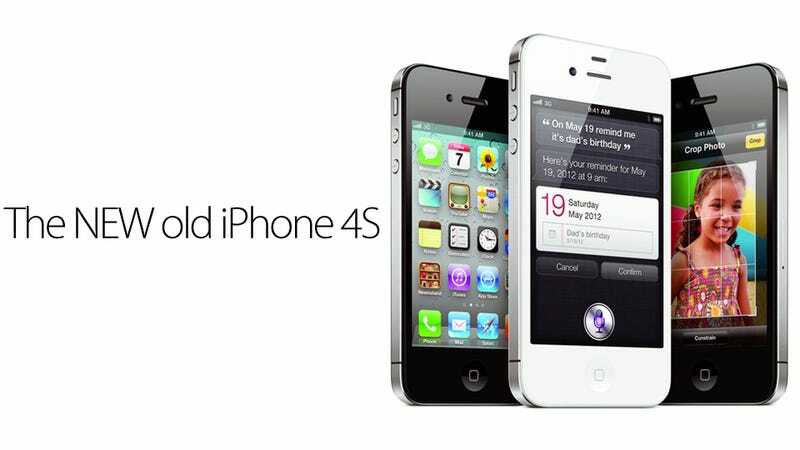 The first reviews are out for the iPhone 4S and they're a lot like we expected, which is to say, exactly what we expected: the same phone on the outside but much better on the inside. It's faster, has a much better camera and packs a golden bullet with Siri. First of all, the iPhone 4S blows away the iPhone 4 when it comes to speed. For the past week, I've been testing all of my most-used apps and the differences range from solid to awesome. At first glance, the speed difference may seem subtle. But over time, it adds up and becomes apparent. I would switch back to my iPhone 4 and get frustrated by the lag. Apps that used to take a longer time to perform a task - applying a filter in Camera+, for example - now work much faster. More generally, every app seems to load quite a bit faster. The best way to see this is to load the Settings app that is built into iOS. On the iPhone 4, it can take up to 3 seconds to load. On the iPhone 4S, it loads in less than a second. And the 4S is faster at switching between apps when multi-tasking. The iPhone 4S took some of the nicest, cleanest photos I've ever seen from a mobile device. If you've ever thought about using a phone as a replacement for your point and shoot, feel free to start taking that concept seriously. The 4S produced crisp, balanced, colorful photos that were surprisingly low-noise and never over-saturated. The iPhone 4 sometimes seemed to be compensating for its limitations by exaggerating colors, but the iPhone 4S looks and feels like a real camera capturing true images. There are two noticeable improvements [in the camera]—quality and speed—and the best thing is that they're clearly evident from the start. Sharpness and detail are significantly boosted in the iPhone 4S when compared to what the iPhone 4 can achieve; there's less noise and less color bleed evident. Aberrations such as fringing around the edges of the frame are cut right back, a benefit of that five-lens array. In brightly lit environments there's less over-exposure; in darker scenes the iPhone 4S is less prone to crunchiness in shadow areas. We've been able to shoot low-light images without resorting to the single LED flash, and still make out detail thanks to the boosted sensitivity. Using Ookla's Speedtest app, I compared the 4S with Samsung Electronics Co.'s new Galaxy S II, which AT&T labels as 4G. In dozens of tests in and around San Francisco, the iPhone 4S registered faster download speeds more than two-thirds of the time. In all my tests, the old iPhone 4 "death grip" had no impact on the speed of cellular downloads on the iPhone 4S, nor did a reverse grip at the top of the phone. Only when I took both hands and performed a "death grip" that covered the entire phone (or at least touched all four corners of the phone simultaneously) did I see any signal attenuation... Still, I am happy to report that it seems that Apple has eradicated this problem entirely. If you shied away from the iPhone 4 because of attenuation issues, it's safe to go back in the water. To give you an idea of how convenient Siri is, it takes about three seconds to create a reminder with a voice command, as opposed to the 10 seconds it takes me to manually type an event into a to-do list or calendar entry. Before, with the standard iPhone calendar, I would often forget to add an event because I was too busy to type it, and as a result I would forget I had something scheduled altogether. With Siri and Apple's new Reminders to-do list app, it's unlikely I'll forget anything important again because the process is so effortless. It's kind of like having the unpaid intern of my dreams at my beck and call, organizing my life for me. I think Siri on the iPhone is a life changer, and this is only the beginning. In my tests [with Siri], I was able to dictate emails and text messages, even in the car over Bluetooth, without looking at the screen. Accuracy wasn't perfect-about 20% of the time I had to try twice to get all the words correct. But, in most cases, Siri didn't make more errors than I do typing on a virtual keyboard. Siri can read incoming text messages and let you reply via voice. If the message is about a date, Siri will even consult your calendar and tell you if you're busy at that time, and then remember to return to the message reply. The system understands multiple, colloquial forms of a question. I asked, "Will the weather get worse today?" and Siri answered, "I don't think the weather is going to get worse" and displayed a weather chart. It's even more amazing how Siri's responses can actually form a conversation. Once, I tried saying, "Make an appointment with Patrick for Thursday at 3." Siri responded, "Note that you already have an all-day appointment about ‘Boston Trip' for this Thursday. Shall I schedule this anyway?" Unbelievable. Siri, the high quality and ultra-fast camera, 30 fps 1080p HD video, globally available voice recognition and the introduction of two antennae (the phone seamlessly switches between whichever is getting the strongest signal) are features that make the 4S irresistible; what is more, the unchanged form means that a whole new range of covers and accessories won't be required.